By looking at these statistics we can begin to imagine how immigration intersects with the lives of young Latinos and Latinas in a myriad of ways. In this blog, I will address the ones that have the most potential for impact, beginning with the fact that when these young people and their parents came, the U.S. determined and continues to determine their immigration status, and with that their right, as well as the right of their parents and other family members, to remain in this country. It all depends on whether they are immigrant themselves, coming to this country when they were very young or older, with or without documents; if they were born in the U.S. to immigrant parents who may be documented or undocumented; or if they were born to parents who have been here for three or more generations. Immigration itself does not create these different scenarios; policy on immigration does. Immigration status colors young Latinas’ perspective on their future. Without documentation, their opportunities and potential for success are seriously compromised. As I mentioned earlier, I looked into the website ‘My Immigration Story” for stories of young Latinas. All the stories that appeared in this blog come from this website. Maria’s and Ivonne’s stories illustrate how the future looks like when you are a young undocumented Latina living in the US. According to the Pew Research Center’s report Latinos coming of age in America, young Latinos are for the most part optimistic about the future and satisfied with their lives. Most of them place importance on the value of education, with foreign-born Latinos placing even higher importance on education than native-born Latinos do. Latina immigrants surpass man in seeing college education as important for success. However, these aspirations do not match their performance. Their school dropout rates (driven by the foreign-born Latino youth) are higher than other youth in the U.S., and they are more likely to become pregnant. Their enrollment in college is significantly lower than that of non-Hispanic women. 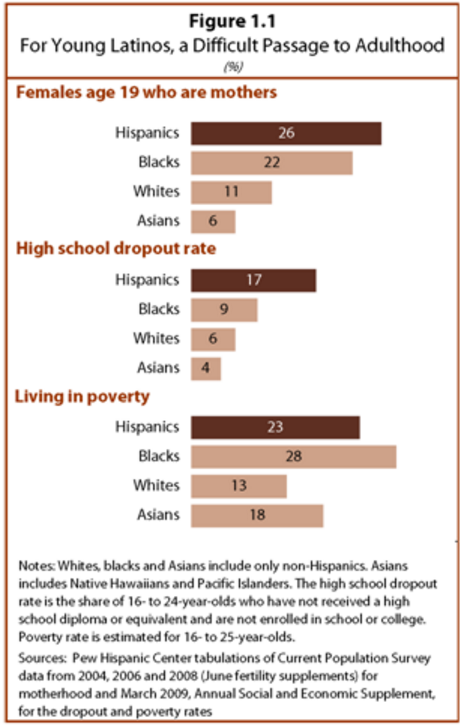 Compared to white and Asian-American youngsters, they are also more likely to live in poverty. But sometimes with a favorable change in immigration legislation things can change; the future can become a little brighter and fuller of possibilities, as in the story of Wendy. My parents had left me at the age of 2 back in Mexico with my grandparents while they came to the U.S. They sent for me at the age of 4 and that is when I crossed the border with my aunt. It was hard at first but I got used to being here. I am now 18 years old and thankful that I was able to qualify for the DACA. With DACA I have been able to do so much. Thankfully I now have 2 jobs and I am in school. Although I am undocumented, I do not give up my hopes and dreams of a better life for my family. Although it is difficult I was able to enroll into college and I am about to be done with my first semester. Hopefully I can continue my studies later on. As much as I would like to go visit my family in Mexico, I can’t. That upsets me every day but I keep going strong for them. This isn’t a sad story, this is just to let everyone know there is hope and to fight for what they want! Being undocumented shouldn’t stop us. WE CAN DO IT! We just have to believe. 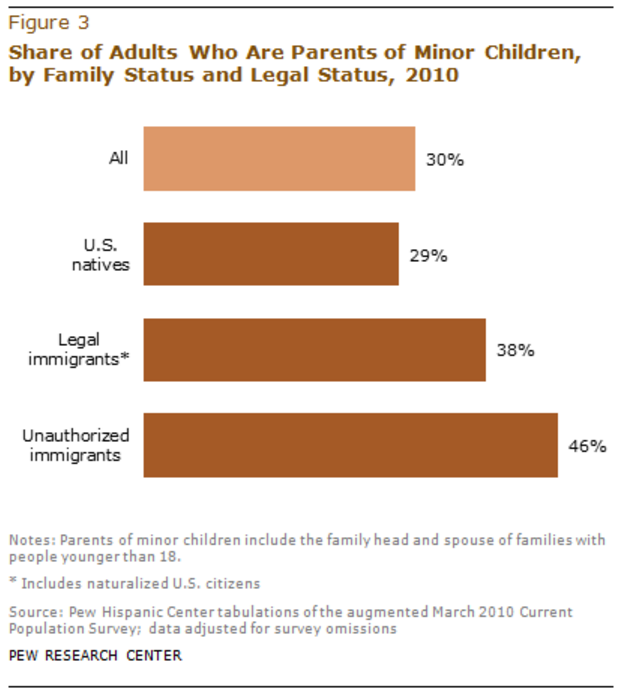 As I mentioned before “mixed-status’ families make up 54% of the 16.6 million people in families with at least one unauthorized immigrant. Among those families there are 400,000 unauthorized immigrant children. This is the story of one of those children, now an adolescent, whose parents and siblings are authorized, but she is the one without legal status. I came here when I was 3 years old. I’m currently 16. Everyone else in my family that is here with me is legal. Everyone but me. I’m close to finishing high school … too close. I love America, this is my home, but this is no way to live. I didn’t choose to be here, they did … and now I’ll have to deal with the consequences. I just want to go to college, study medicine and save lives. Is that too much to ask for? I just want to belong here, I want to be an American citizen. My name is Vanessa and am an American citizen. I have a twin Samantha and we both are 16 years old and living with our grandparents. My mom and my other 2 sisters (also American citizens) live in Mexico with my Dad because he is deported and cannot come back. In 2005 they deported him and punished him for 10 years. In July 2015 he went to the Juarez Consulate and they denied his case. Since I was 6 years old I have been going to Mexico and coming to the U.S. I am a junior at Avenal High School. I get straight A’s at school and life is hard without my family. My only dream since I was 6 is to have my Daddy here with me. Is it really too much to ask for? My dad was deported when I was 16 years old. I know he is somewhere in the Dominican Republic, if he is still alive. I try not to think about it too much because there are so many questions and nobody to answer them. I’m now 22 years old and sometimes, I wonder where he is and what he is doing. I know that he would be proud of me getting my bachelor’s degree and becoming a teacher and coach. Even though I don’t have a good relationship with my mother and only lived with my father for a few years, I thank them wholeheartedly for their sacrifices. They had no idea where I would be at 22, but it was thanks to them that I was born and raised in a place with unlimited opportunities. I included this blog about immigration in this project because Latinos in general, but more viciously those Latino immigrants who are undocumented, have been the target of recalcitrant anti- immigrant sentiment, rhetoric, and policies during the last three administrations. 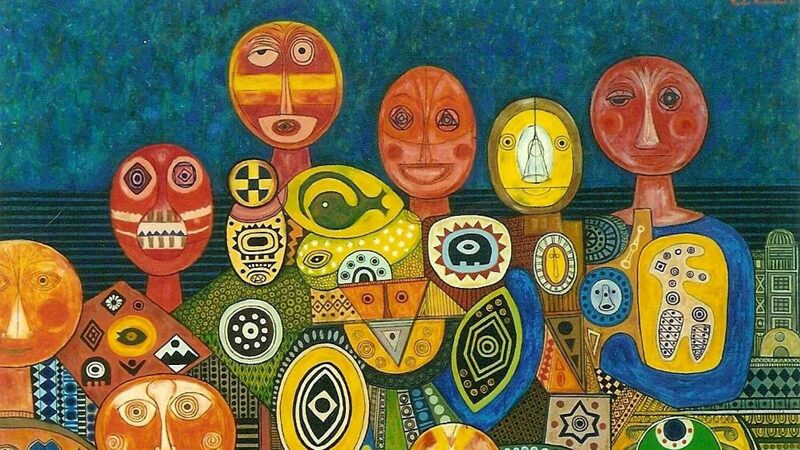 Young Latinos, whether immigrant themselves or U.S.-born, have come of age in this sociopolitical environment, which very possibly has not only affected their emotional and psychological well-being, but also colored the development of their social identity.